KBA and the Optimus Group have announced a partnership relating to worldwide sales and distribution of management information systems (MIS) from Optimus. With effect from 1st March, press manufacturer KBA is to become a distributor for Optimus solutions such as Dash, Cloud and Cloud Mobile in the regions Western Europe, Asia-Pacific and USA/Canada. Further markets are expected to follow later. Many sheet fed offset users around the world are interested in the capabilities of an integrated MIS, which can not only manage all its different substrates and processes, but also grows together with the company and its needs. Various KBA customers are already using Optimus systems, and they have gained a good reputation for their outstanding flexibility and user-friendly implementation. “We have already worked with other partners in this field in the past, and our customers can continue to rely on our openness and flexibility if they wish to integrate existing or new KBA Rapidas into their preferred MIS solutions. But when we recently decided to offer MIS solutions as part of a closed-loop workflow with our presses, Optimus was our first choice,” says Ralf Sammeck, KBA Vice President for the sheet fed product house. 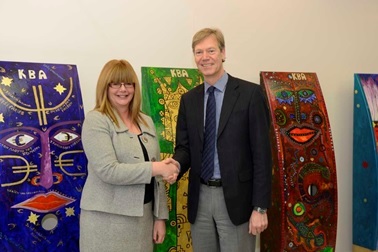 Nicola Bisset, Optimus Group Managing Director and Ralf Sammeck, KBA Vice President for Sheet Fed Product House 12th February 2014. Held in conjunction with the region’s leading events for the printing and signage industry – Africa Print and Sign Africa – FESPA Africa 2014 will welcome over 6,500 visitors. If you would like to participate at FESPA Africa 2014 please contact michael.ryan@fespa.com to receive more information. 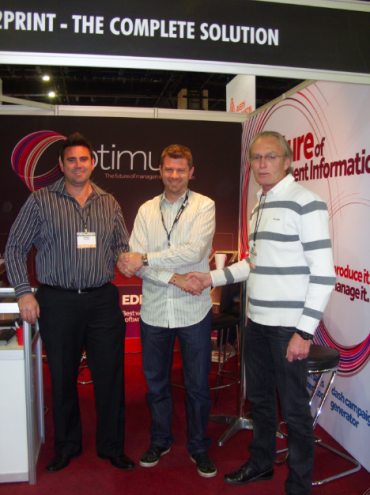 180 Degree Digital Print signed a deal for the Optimus Dash Management Information System at the Africa Print Expo, which took place from 21-23 August at the Sandton Convention Centre. Optimus dash is designed for Print Media companies who require a solution to satisfy the needs of today’s customers. Fast turnarounds, full campaigns or simple products all need to be managed quickly and effectively. The solution offers speed, transparency and automation to maximise the profit in each transaction! Caption: : Jason Garde, Optimus, Sean Bailey, 180 Degree Digital Print and Colin Garde, Optimus. 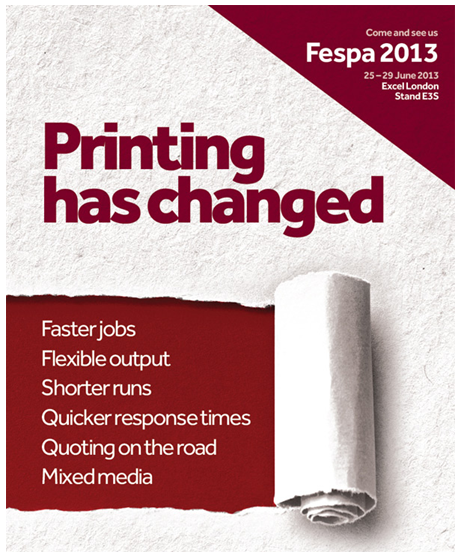 FESPA 2013 at the London Excel has been in full swing for two days now and its hot and getting hotter! 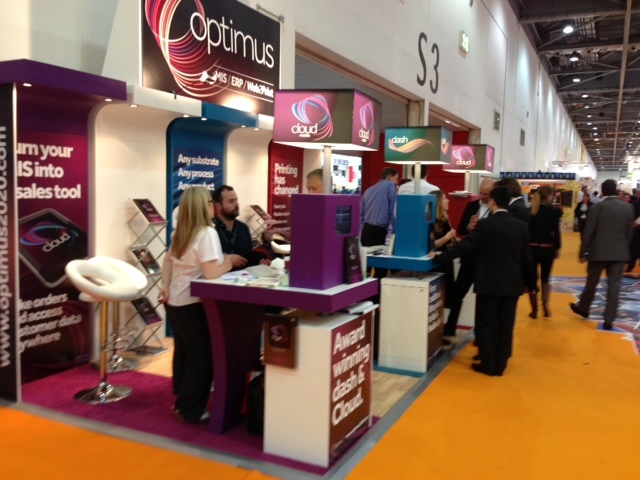 Our new stand at E3S is looking fantastic as you can see from the photo below with plenty of visitors keeping the Optimus team busy with demonstrations of our award winning MIS/ ERP and Web 2 Print solutions. 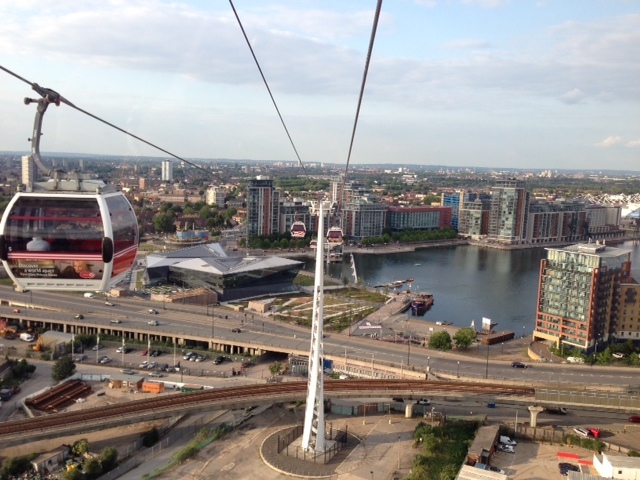 The Optimus team managed to take some time out last night at the 02 Arena for dinner and on the way saw the impressive London sights from the Emirates AirLine Cable car which was built for the London 2012 Olympics. May we take this opportunity to thank all of our visitors for taking the time (and coping with the heat) to visit us over the last two days.